Agreement, Deposit, etc. Let's get your project moving! All we need is your signature and approval for next steps! Pop Video + all key stakeholders from your side get together so we can extract all of the necessary information. Concept, logistics, talent acquisition, style board/storyboard, timeline, and most importantly FINAL AGREEMENT AND APPROVALS OF ALL PROJECT RELATED ITEMS AND IDEAS. Preparing all of the resources involved, all the locations, etc. to make sure that production runs smoothly. Rough cuts, then revise, revise, revise! We revise until we ensure that you're ecstatic with the final cut. This is where your content takes on a new life! We utilize existing assets to fuel future content - we recycle, repurpose and reiterate your video to empower future marketing campaigns! 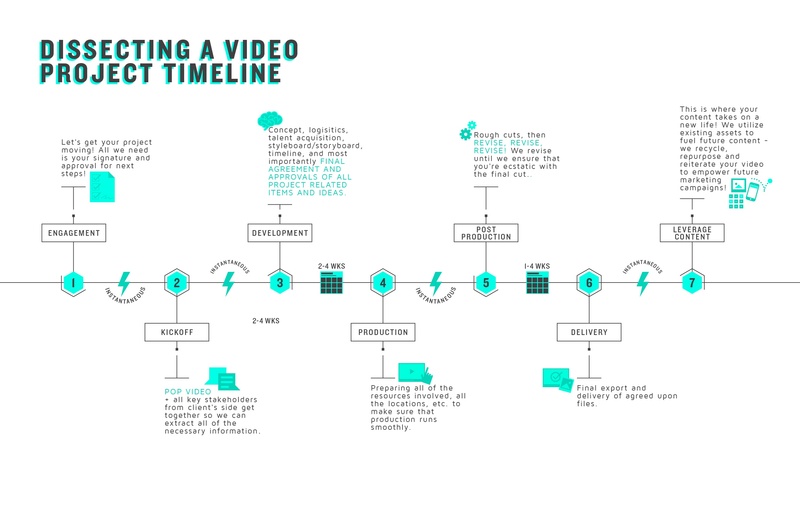 This is what a timeline for video production project looks like. 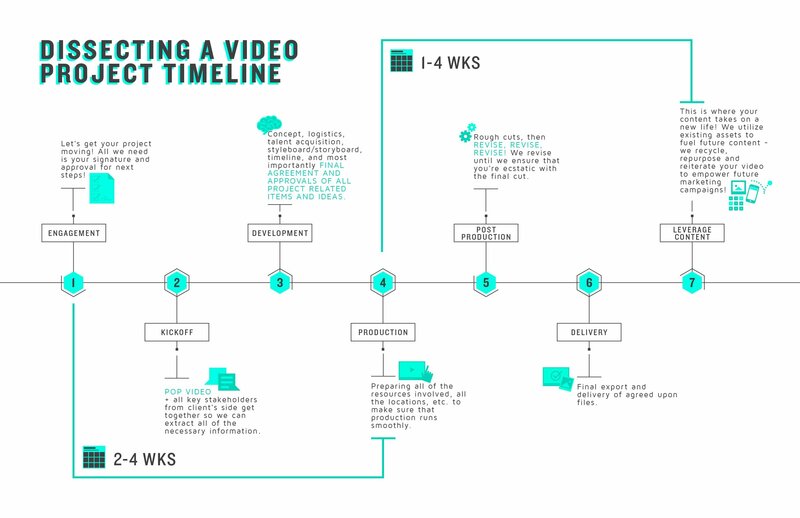 There are many steps and sub-steps in the video production process in order to make a piece of content be successful. To learn more about Pop Video's video process, check out Our Agency page.